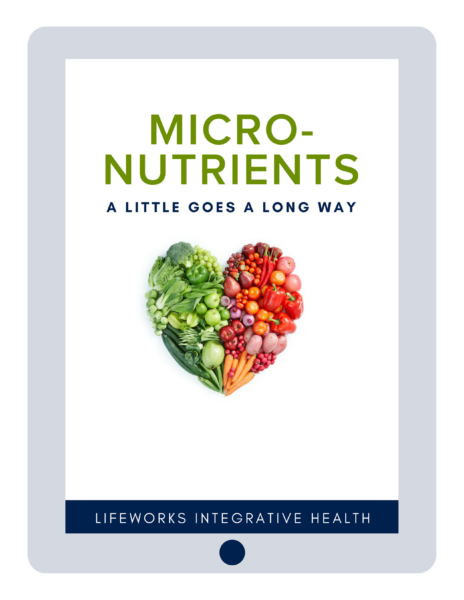 Our bodies are resilient when things are in balance — Micronutrients help make this happen. These key vitamins and minerals are only needed in a small amount to make a big difference. You can receive micronutrients from a healthy, whole food based diet. However, due to our exposure to toxins, poor soil quality, poor gut health, high stress levels, etc. it is not uncommon to be deficient in specific micronutrients, despite your best efforts. Getting your micronutrient levels tested can help you understand what kind of specific supplementation you need. Personalized oral supplementation and IV Nutrition Therapy can be pivotal for your health.